(Active Directory) How do I require a user to use Two Factor Authentication? How do I enable my account to use Duo? First, your Admin should have already enabled Duo for 2FA. Once that is done. 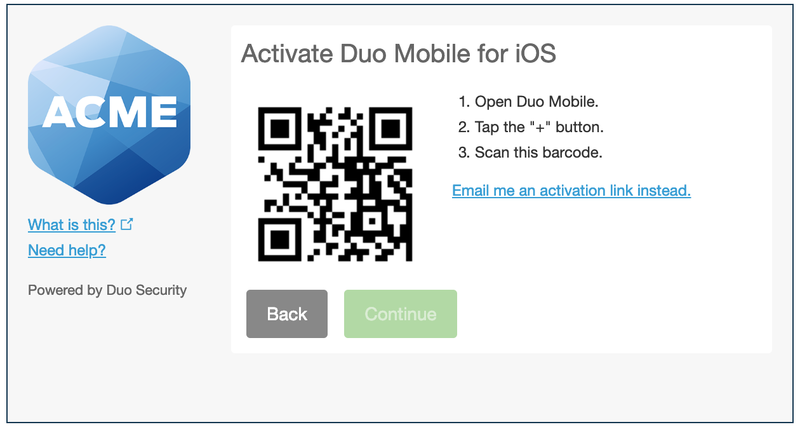 Duo's self-enrollment process makes it easy to register your phone and install the Duo Mobile application on your smartphone or tablet. 1. Login to your Cerberus web client account and go to the Accounts page. 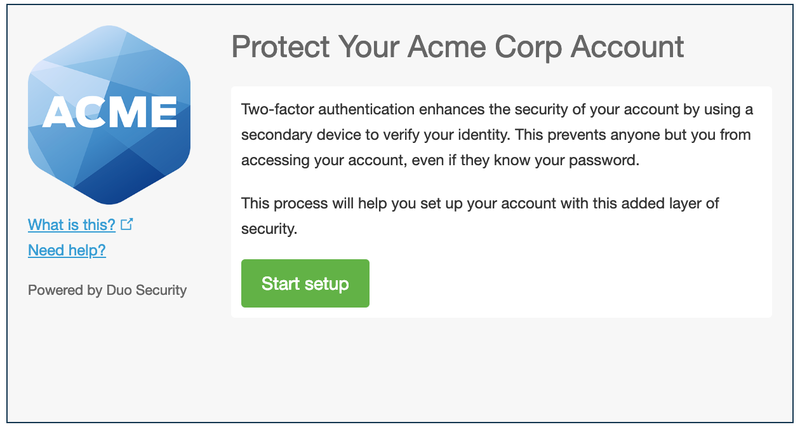 Press the Enable Two Factor authentication button. Click Start setup to begin enrolling your device. 2. 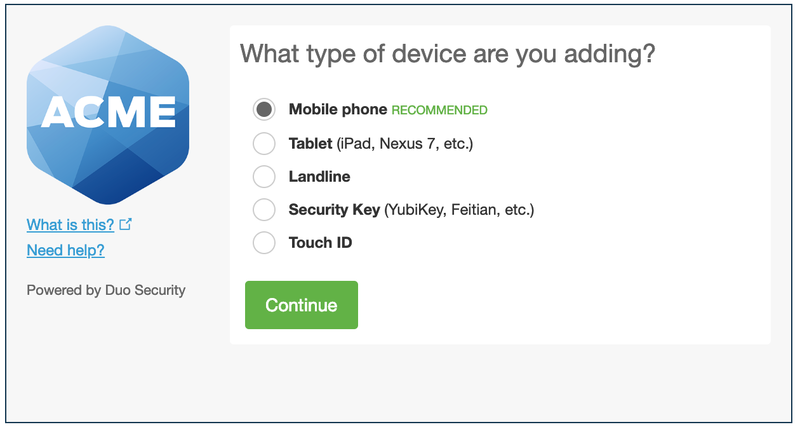 Select the type of device you'd like to enroll and click Continue. We recommend using a smartphone for the best experience. 3. Select your country from the drop-down list and type your phone number. 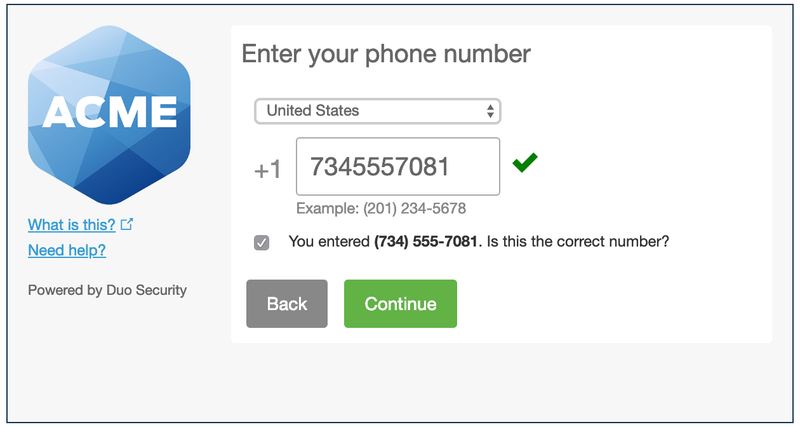 Use the number of your smartphone, landline, or cell phone that you'll have with you when you're logging in to a Duo-protected service. You can enter an extension if you chose "Landline" in the previous step. Then double-check that you entered it correctly, check the box, and click Continue. 4. Duo Mobile is an app that runs on your smartphone and helps you authenticate quickly and easily. Without it, you'll still be able to log in using a phone call or text message, but for the best experience, we recommend that you use Duo Mobile. 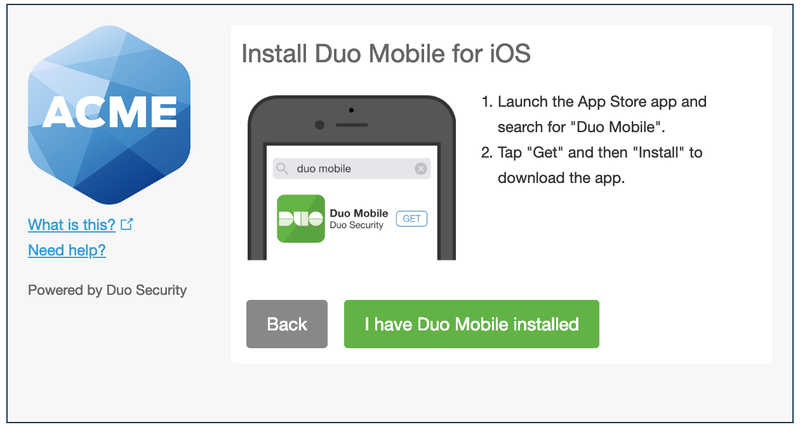 Follow the platform-specific instructions on the screen to install Duo Mobile. 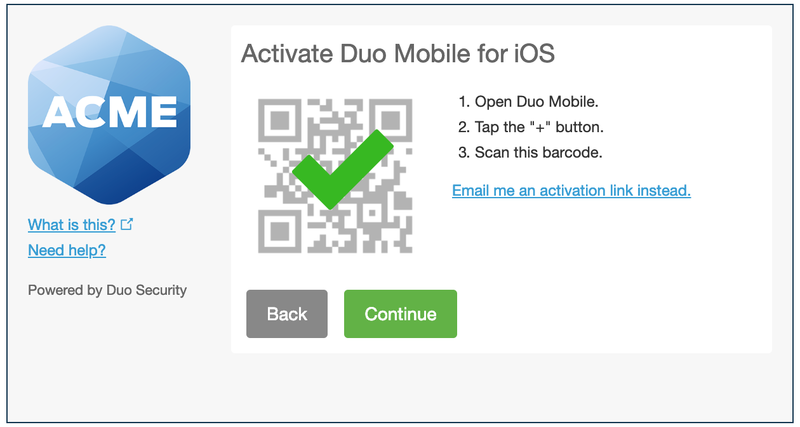 After installing our app return to the enrollment window and click I have Duo Mobile installed. 5. Activating the app links it to your account so you can use it for authentication. The "Continue" button is clickable after you scan the barcode successfully. Can't scan the barcode? Click Or, have an activation link emailed to you instead. and follow the instructions. 6. 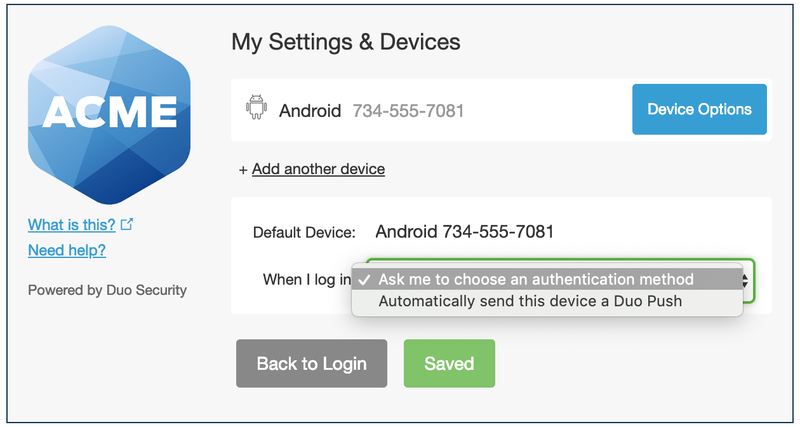 You can use Device Options to give your phone a more descriptive name, or you can click Add another device to start the enrollment process again and add a second phone or another authenticator. If this is the device you'll use most often with Duo then you may want to enable automatic push requests by changing the When I log in: option and changing the setting from "Ask me to choose an authentication method" to "Automatically send this device a Duo Push" or "Automatically call this device" and click Save. With one of the automatic options enabled Duo automatically sends an authentication request via push notification to the Duo Mobile app on your smartphone or a phone call to your device (depending on your selection). Click Continue to login to proceed to the Duo Prompt. Your device is ready to approve Duo authentication requests. Click Send me a Push to give it a try. All you need to do is tap Approve on the Duo login request received at your phone.